Als ich chan = "The best that I am capable of doing"
Agesander of Rhodes, Polydorus of Rhodes, and Athenodoros of Rhodes, Laocoön and His Sons, 27 AD. 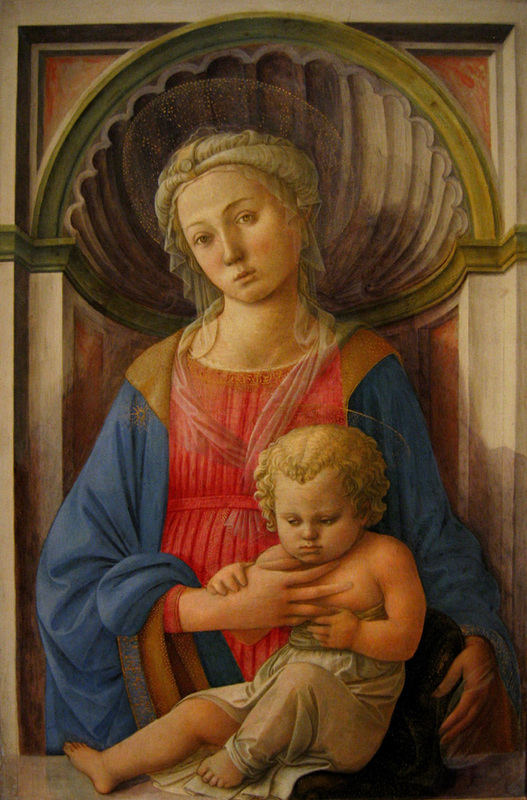 Fra Filippo, Madonna and Child, c. 1440.
resembling a flower or four-leaf clover. 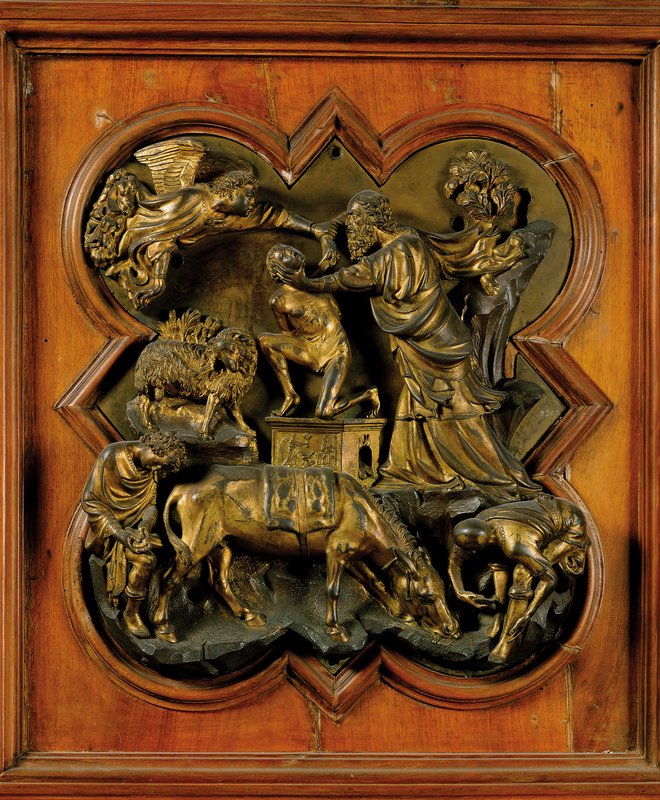 Andrea Pisano, Florence Baptistry di San Giovanni (south), 1329 - 1336. 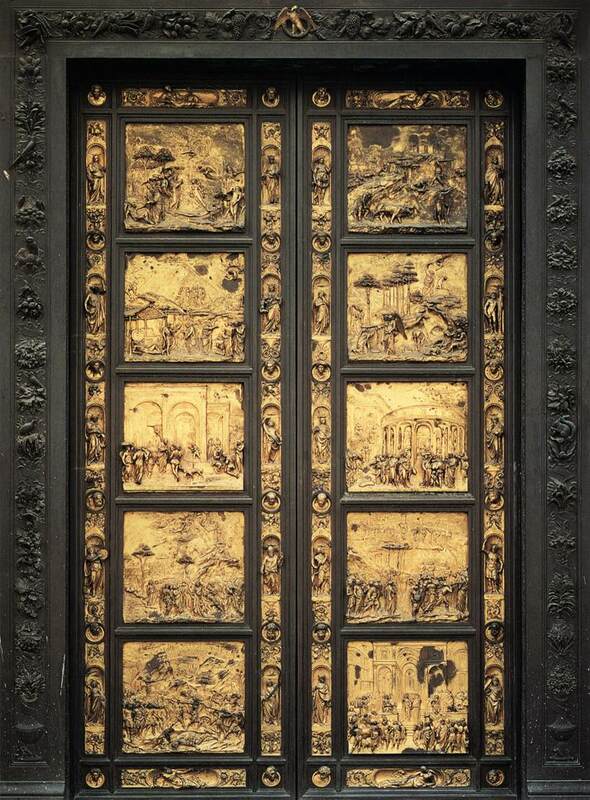 Lorenzo Ghiberti, Gates of Paradise (East Doors of Florence Baptistry), 1425 - 1452. 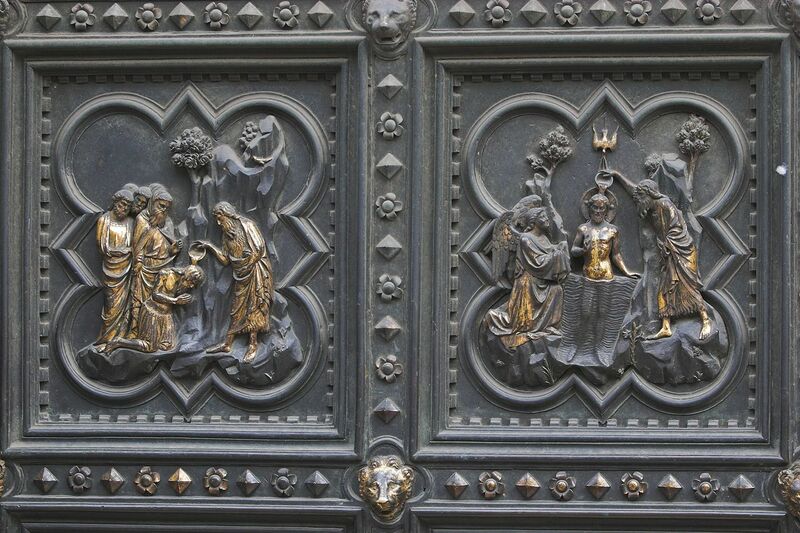 Vassari described the east doors of the Florence Baptistry as "undeniably perfect in every way and must rank as the finest masterpiece ever created." 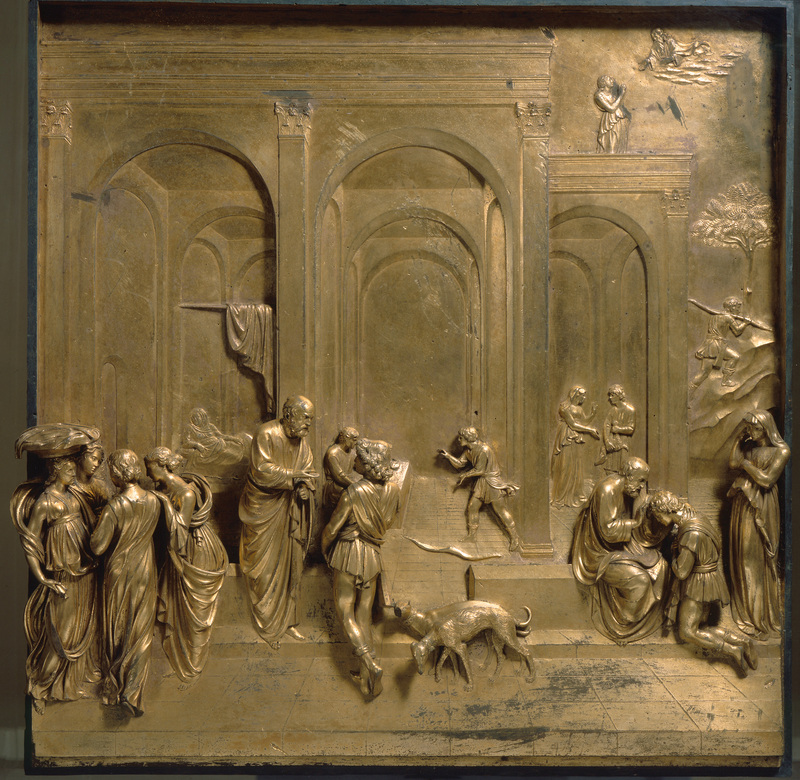 Lorenzo Ghiberti, Story of Abraham (East Doors of Florence Baptistry), 1425 - 1452. 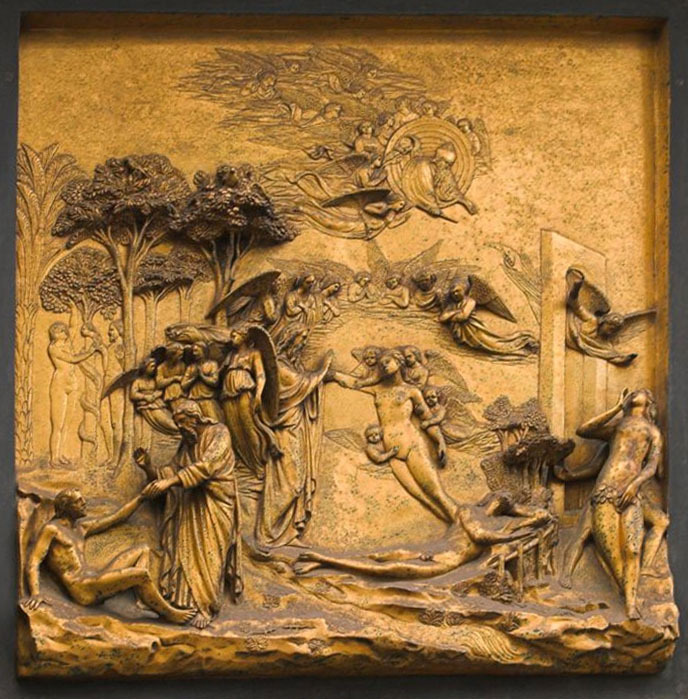 Lorenzo Ghiberti, Adam and Eve (East Doors of Florence Baptistry), 1425 - 1452. 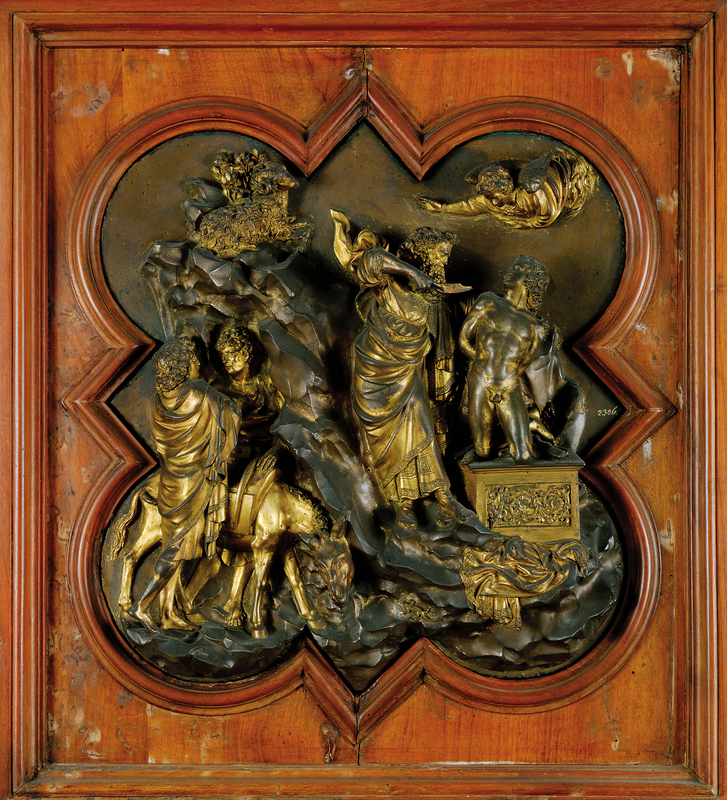 Lorenzo Ghiberti, Jacob and Esau, c. 1435. 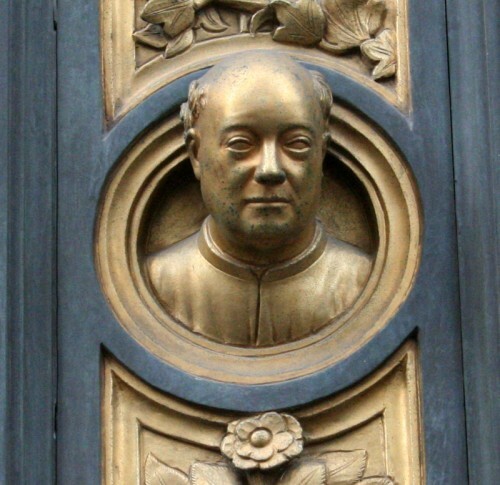 Ghiberti, Self-Portrait, Ghiberti from the Gates of Paradise (East doors of the Florence Baptistry), c. 1435. 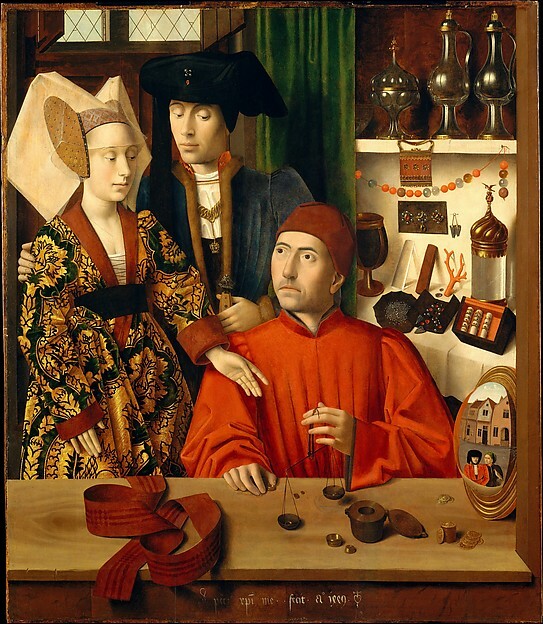 Petrus Christus, A Goldsmith (Saint Eligius?) 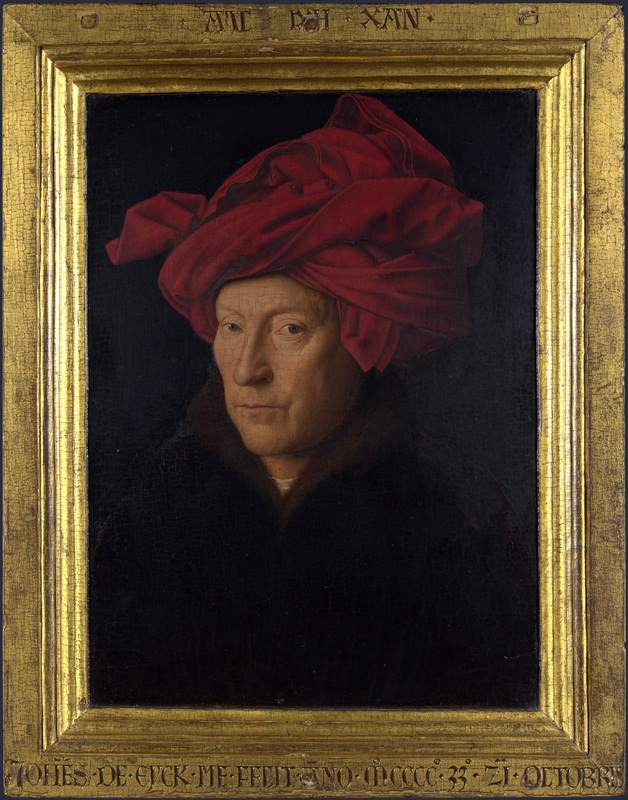 in His Shop, 1449. In middle ages, illuminated manuscripts, tapestries and metalwork were the most highly valued art forms. 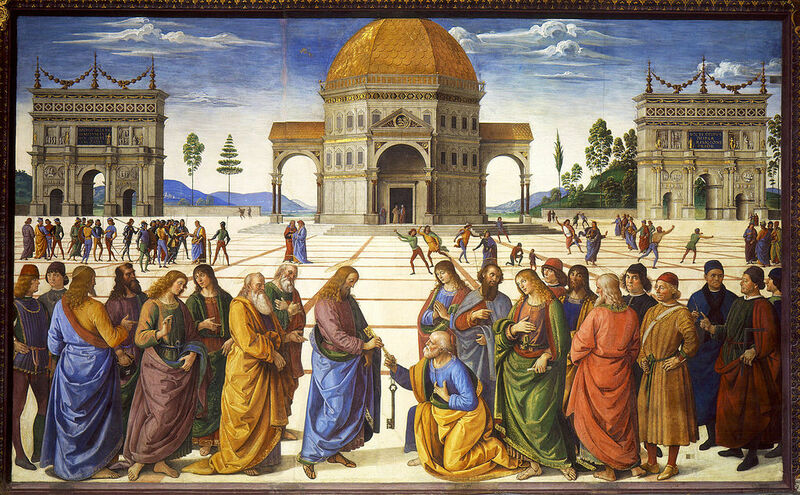 By the 15th century, panel painting quickly became the most prized. 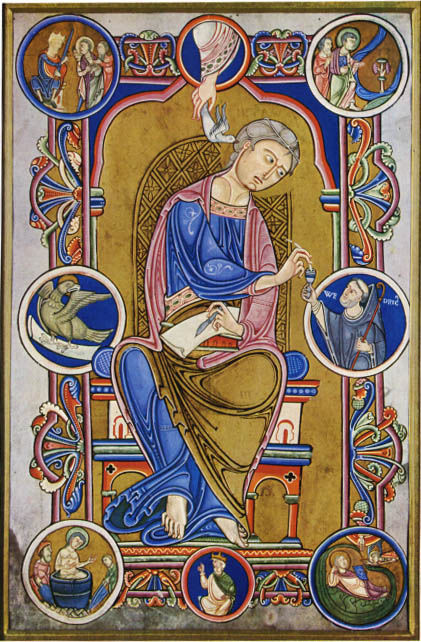 St. John the Evangelist from the Gospel Book of Abbot Wedcricus, 1147. 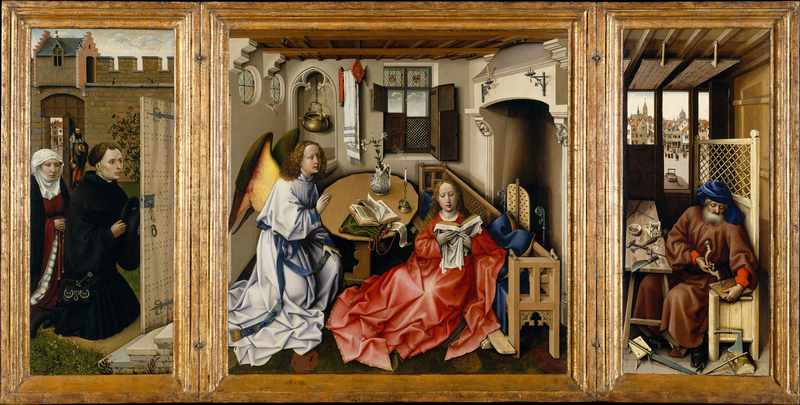 Rogier van der Weyden, Saint John Altarpiece, 1455 - 1460.